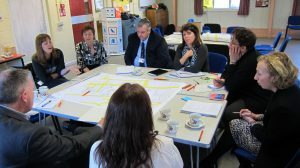 Piloting a new approach to helping local authorities map their assets, The Glass-House led workshops to bring business and community-based organisations together with Wirral Borough Council to explore the future use of council-owned assets in Moreton. In recent years, local authorities have been exploring how to best support their communities and manage local services in the context of reduced resources and funding. In 2014, Local Partnerships approached The Glass-House to develop and pilot a process for resident and stakeholder engagement in mapping local asset priorities against local social and economic activities and priorities. 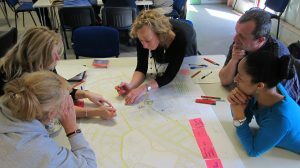 We ran two workshops in Moreton, drawing on asset mapping methodologies co-designed in our action research projects, that brought together members of the community, local businesses and civil society organisations, and public sector asset-holders. The workshops facilitated conversations that explored the value of local assets and how the provision of local services could be improved by making better use of them. Lots of ideas emerged about more effective management of services and suggestions to consolidate services and buildings, which found an unusually strong consensus among participants. We also looked at quality of place and how improving the quality of Moreton’s physical environment could contribute to better services and overall wellbeing. 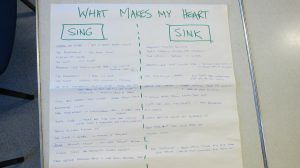 The workshops drew together a wide range of stakeholders who found that they had more priorities in common than not and that actually, there was a strong local offer of activities and services. 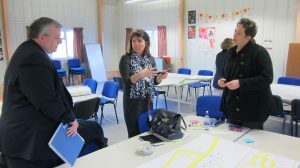 One very simple action that emerged from the workshop was to improve local communication, with better physical and virtual signposting, about what happens and where. There was also clear potential to rethink how underused assets could be used to fill gaps in provision, and an interest from participants in collaboration across sectors and in sharing spaces. With a focus on how place quality and physical assets were currently influencing and supporting local life, the group identified some clear challenges around existing road patterns and opportunities to rethink physical connections and links between assets owned by the local council and other local services. This process helped the council improve their process for assessing surplus property and their approach to working with other partners to consider different approaches to asset management.